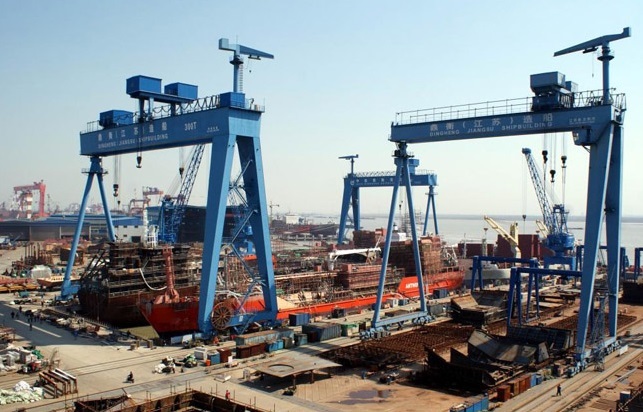 Two dockworkers died in bad ventilated ship’s compartment in AVIC Dingheng Shipbuilding yard. One of the superrvisors of the yard was on inspection into newbuilding project and entered into ship cabin, but suffocated after lack of oxygen into the compartment and the strong paint fumes. Another dockworker entered into the ship’s cabin to save the supervisor but also suffocated. The both people died at the compartment and were found by nearby workers, who just ascertained death. The local authorities and police department started investigation for the accident and if all the safety measures were taken to prevent the suffocation of the two dockworkers. According to the preliminary information the both people were not carrying gas detectors, which is important when entering to newbuilding compartment. However, the police inspectors continue checking all the evidences around the death of the two people in AVIC Dingheng Shipbuilding yard. AVIC Dingheng Shipbuilding yard was founded in Feb.2006, located in the Jiangdu Economic & Development Zone, Jiangsu Province, along the Yangtze River. The yard focus on high tech stainless steel chemical tankers, and gas carriers up to 30,000 dwt, production capacity is 16-18 vessels per year.